And doing the things we like best. To make time for enjoying the gift of life so help us today to begin! That we may be able to serve you better and all to whom we are committed. Next week is the final week of term three. 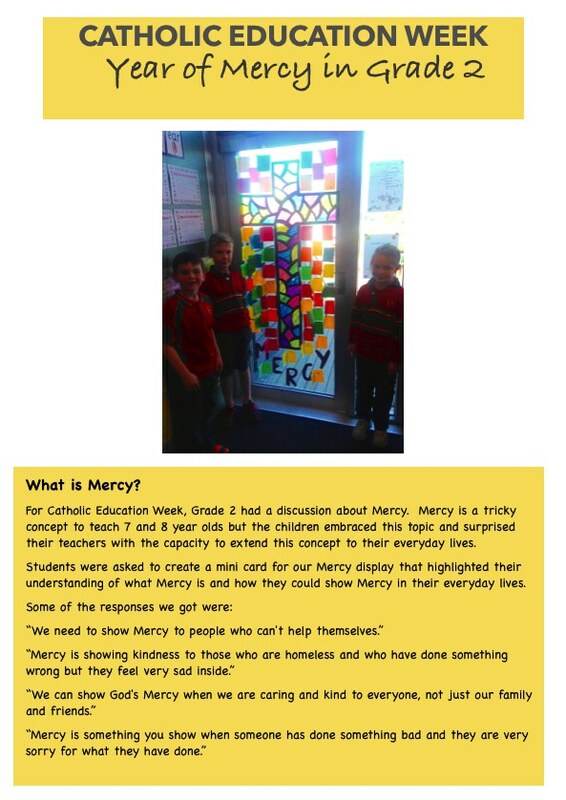 This term has been very busy, with a variety of sporting programs, celebrating our 80th Anniversary and Father Peter’s 50th Anniversary as a priest, Bravehearts and Family Life, just to name a few events. Thank you to all staff, parents and students for your hard work and support during the term. Mrs Tamika Lowe will be leaving us at the end of term and we wish her and her husband Jamie, all the very best for the birth of their baby. Phillippa Pacey and Mary Turnock will be taking some long service leave after the school holidays and Mrs Brown and Mrs Paoli will be replacing Miss Pacey. Lisa Cooper will be on leave from the last week of term three and will return the second week of term four. Madeline Noye will be replacing Lisa Cooper in Kinder C.
We wish all families the very best for a restful and safe holiday and look forward to catching up at the commencement of term 4 on Monday 10 October. A reminder that Friday 21 October, the day following Show Day, is not a student free day, all students are expected to attend school on the day. If your child/children will not be attending Corpus Christi Catholic School in 2017, could you please notify the school office in writing, as soon as possible and organise a time to meet with the Principal, Mrs Mary Turnock for an exit interview. Contact Details - Parents are reminded to advise the school if your contact information changes. 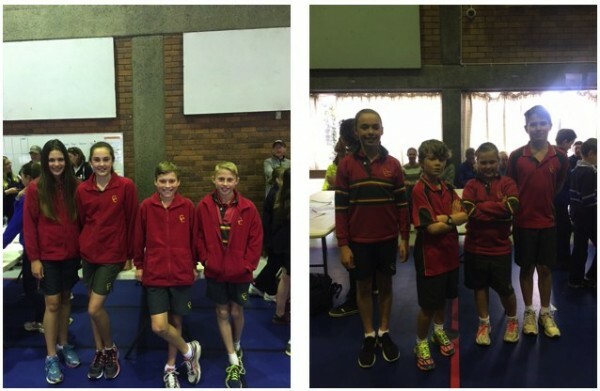 Congratulations to Grade Five and Grade Six Teams who participated in the Maths Relay Challenge on Sunday 21 August. This requires teams of four, to solve twenty complex and increasingly difficult problems. Both teams performed incredibly well, with Grade Six working on question 20 only to be beaten by the buzzer! The next SCHEDULED EFTPOS Payment will be processed on Monday 10 October 2016 and the SCHEDULED DIRECT DEBIT Payment will be processed on Friday 16 September 2016. The Canteen will be closed next Friday 23 September due to the Footy Colours Day Sausage Sizzle. If you are able to assist on the morning to help cook and serve the BBQ please email the P&F p&f.ccs@catholic.tas.edu.au You need to have a Working with Vulnerable People (WWVP) Card. The P&F are holding a Cinema Night to see Bridget Jones's Baby on Tuesday 20 September at Village Cinema Rosny, commencing at 6:30pm. The tickets are $20.00 each (includes choc top, popcorn and drink). Please book your tickets via the Qkr App. To celebrate Corpus Christi’s 80th Anniversary, each child in the school has drawn a face for the school’s celebratory apron. The aprons cost $20 each and are a full bib apron made from 100% cotton drill. They are fully washable. The apron would make a great memento of your child’s year at Corpus Christi. A sample of the apron is on display in the office foyer. The chocolate drive is coming to an end, could you please finalise your payment. The Fathers Day Stall was a huge success. Thank you to Ria Mansfield for co-ordinating the stall and to Sandra Hallsworth, Lynnette Hurst, Nick Brown, Jeannie Diamantis, Sandra Heaton and Meg Kitchen for helping on the day. The next meeting of the P&F is Monday 17 October at 7:00 pm in the Library. All are welcome to attend. 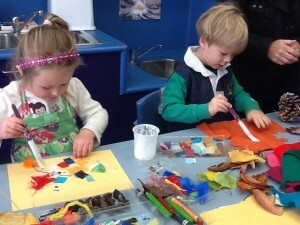 There will be no Play & Learn on Monday 19 September and Monday 10 October.